Davao City, the gateway of Southern Philippines. A home of more than 1.5 Million people dwelling in the vast land of promise. A melting pot in the region where you see different tribes, religion and culture live harmoniously. An urbanized metropolitan enclave by the tallest mountain, Mt. Apo, surrounded by beautiful white powdery beaches, and a tropical rain forest setting. These are few rationale that boost a rapid influx of foreign and local tourists coming to Davao year after year. If you haven't visit Davao City yet, here are the list that one shouldn't miss. 1. Swim one of it's turquoise and aquamarine beaches. One of the reasons why crowds from all over the world enthralled by Davao's stunning pristine white sand beaches. No need to travel a hundred miles, it's just half to an hour boat away to it's neighboring islands, Samal and Talicud. Snorkeling, Scuba Diving, Island Hopping, Kayaking are just few water activities that can be enjoyed in Samal Island. 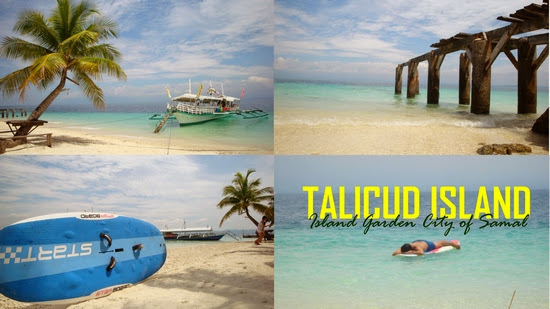 Talicud Island is preferred for it's laid back atmosphere and want to enjoy the sound of the waves, reading his/her favorite book while sun bathing at the same time. Davao is home of the Philippine Monkey-Eating Eagle, considered as one of the biggest raptor in the world. This bird is already on the list of endangered species due to human intervention of it's natural habitat. But no need to worry, these mighty eagles have a high success rate in breeding captivity. Which could mean our future generation will still able to see this iconic birds. You can get closer to them at the Phil Eagle Center in Malagos, Calinan, Davao City. A lush rain forest with spectacular views of Pine Trees, Cool climate where fresh air is guaranteed. This man made 80 hectare resort is been heavily visited among tourist and one should book and inquire prior visiting this nature paradise. One can also experience the indigenous culture of Davao Region by visiting its cultural park outdoor museum. 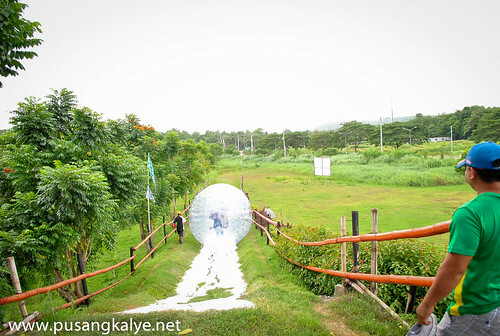 Zorb rolling is one of extreme adventure that you might one to try when visiting Davao. Though the location is not commuter friendly but it's reachable by hiring a cab to Davao Zorb Park along Diversion Road in Maa, Davao City. You'll get inside to air cushioned ball, lock up then push down slope for seconds of ultimate ride. This might not for everyone but for sure, adrenaline junkies and adventure seekers will love this. Davao is famous for it's sweet Pomelos, sweet-tangy mangoesteen and the notorious king of fruits, Durian. Aside from it's fresh and on top quality, these fruits can be bought on cheap price during it's peak season and during Kadayawan Festival. Pasalubong anyone? ﻿﻿﻿﻿﻿﻿﻿﻿﻿﻿﻿﻿﻿﻿﻿﻿﻿﻿﻿These are 5 things that should be on your list to experience DAVAO, because Life is Here. About the Author: Sky is one of the author of travel blog boundfortwo.com. He loves beach bumming, raiding temples, do random jump shots on iconic places. 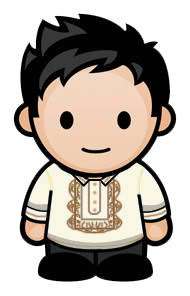 He grew up in Davao and now based in KL, Malaysia. I was pregnant then when I visited Davao that's why we weren't able to go to any beach. Our target on our next visit to Davao is to go island hopping in Samal to explore its nice white sand beaches as featured in your photos. i would love to do that Rolling in the hillside part! i've seen that on tv many times and it looks cool! the idea being inside is fantastic!! 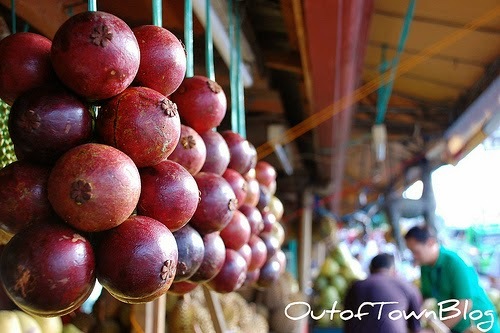 also would love to enjoy fruits! I love eating fruits! Great lists here! Davao is really a nature haven from the fine beaches in Samal to the Nature adventure in Eden Nature Reserve and Mount Apo to the delicacies like seafoods and of course, durian. Wow! awesome treat Davao has to offer. 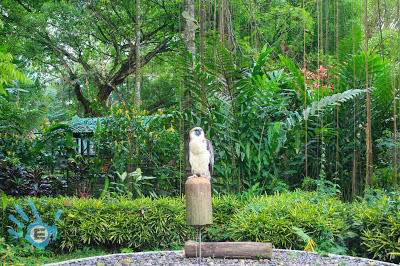 I'll stick na lang doing my rounds Nature hopping and I like to see those Philippine Eagle. And here are only 5 things I've been missing since I havent visited Davao. Ive been planning it for ages, but Davao is just too big for a short time visit. I intend to have a longer stay in Davao as compared to my other travels. Hope to make this into fruition before this year ends. 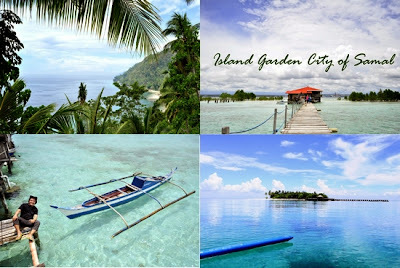 These sites were already in my list of places to visit in Davao. Sadly, Tiger Airways cancelled my flight there this August. :( I would've loved to see these firsthand if not for that cancellation. I've been to Talikud Island and I have also experience the zorb ball thingy. It's super fun in Davao, promise, I have stayed there for 5 years. I was able to do some of these activities during my trip to Davao last summer. Too bad I was not able to try zorbing. Of course, how can we forgo a dip in those aquamarine sights of Davao and enjoy going around Davao and being immersed in it's natural beauty. 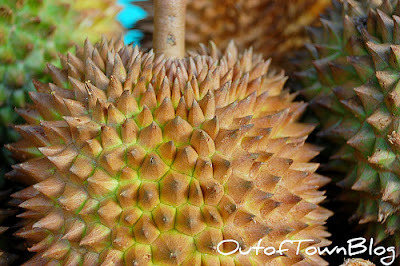 Durian and mangosteen are two fruits to check out for any new visitors of Davao. I was there last year and ate at one of the best grill restos around. Ever awesome fresh seafoods!